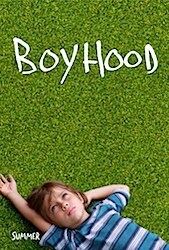 Much has already been said (not least by the trailers and publicity material), about Boyhood's unique selling point, ie its 12-year production, which instantly raised a question in my mind: Yeah, but is it any good, though? After all, it's one thing to have a grand, sprawling vision of how you're going to make a movie, but what's going to be in it? I can't lie to you, I found Richard Linklater's Boyhood to be boring. Sweet in places, amusing in others, but overbearingly boring. The casting of Patricia Arquette and Ethan Hawke didn't inspire confidence in me from the start, and the trailers seemed oddly self-congratulatory, but I'm willing to give most films a go and I'm aware that it's being praised almost everywhere else. It's an interesting concept of course, that in making the film, the actors were subject to massive gaps in between shoots, so that the eighteen year old Ellar Coltrane probably thinks of his early scenes in the film about as accurately as any of us would in real life. There are rarely significant breaks between these segments however, and in reality, the viewer is told time has passed by the family sporting new haircuts, and is left to fill in the blanks as Mason and his mother mope around a different kitchen, talking about nothing. Much like Hawke's estranged father, we keep dropping in to see the kids and try not to be too awkward about finding out what's going on (here's a clue: it's nothing). Pretty much half of the world's population has been, is, or will be an adolescent boy. That doesn't make it interesting; quite the opposite, in fact. When a gentleman in the row in front of me breached the Code Of Conduct by checking his phone at around the 'graffiti tag' scene, rather than being outraged, I was more intent on having a look to see what the time was. I must confess that my heart sank when I realised there was still over an hour to go. SPOILERS: Mason is young at the start of the film; he is older at the end of the film; his childhood and teenage years are largely as melodramatic yet uninteresting as yours were; then it ends. The only real upside is that if you need to nip off to the loo during this marathon of domesticity, you won't miss anything. Linklater's reliance on the 12-year gimmick has resulted in three hours of self-indulgent navel gazing where the craft clearly seemed more important than the final product. Like sitting politely through someone else's home movies, the novelty wears off when you realise the screenplay is focusing on how trivial 'real' life is compared to the movies. Essentially a fictionalised version of the '7 Up' series, marking the passage of time with a succession of games consoles, Harry Potter books and mobile phones, there are a few touching moments but nowhere near enough to justify the runtime. Although even I'll admit that giving a fifteen year-old a Bible and a shotgun for his birthday is pretty funny. "Any dipshit can take pictures, Mason. Art… that's special"
Well, the trailer loves itself and shows nothing remarkable happening at all. So, yes. Oh, almost certainly, it just doesn't push my buttons. I will a bit, but I'd be delighted if you explained to me why you disagree. Hey, why not tell me how I've missed the point? 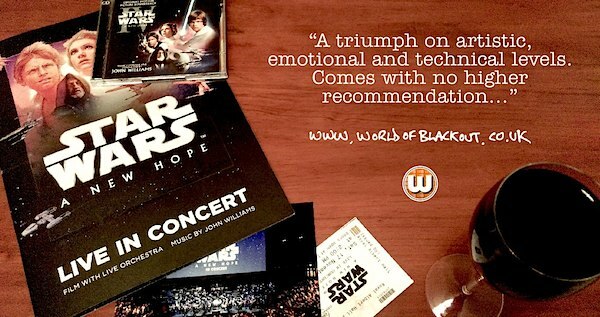 Intermission: The half-year in review.